Forget your new year resolution ?? You did it, right? You made those 2019 New Year’s resolutions with some promises to lose weight or to exercise more. But are you sticking to them? May be.…. So where are you going wrong? No rewards for our achievements as we reach each small milestone. So what now? You already wasted 1st month of the year and with having broken your resolutions already, how can you start again to achieve them. 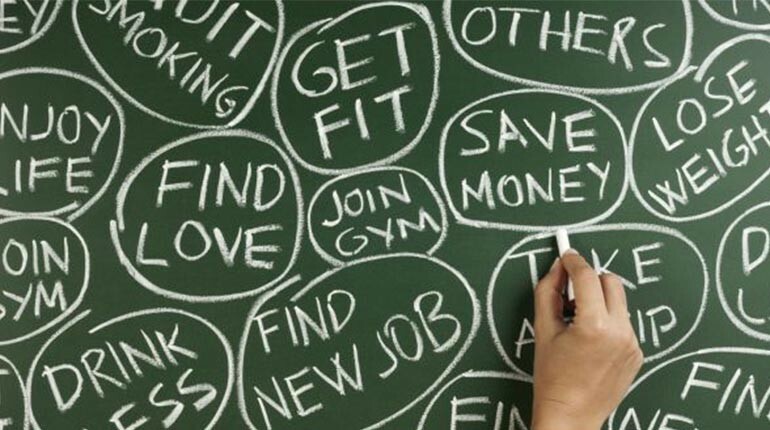 Here are five fitness resolutions you can keep, thus breaking the never ending cycle. Some of us like to work out on our own, but some of us accomplish more when we are in a team environment. If that is you then going to the gym or a class on your own is often un-motivating, boring and can lead to you losing interest in your fitness foals. To conquer this find a friend who has similar fitness goals as you do and go with them. Finding a fitness pal that will encourage you along the way and someone you can encourage will help you on your journey and ensure a few laughs along the way. In those two minutes you’re ordering your food and the wait staff asks “chips or salad?” make a conscious effort to say no chips. Once that order is in, you are already taking away temptation to eat those empty calories. A great fitness resolution is to promise yourself that you’ll try something new. Sometimes it’s nice to get yourself out of the air conditioned comfort of a gym and take a hike somewhere or run along the beach. Better yet, try something completely out of your comfort zone and get the adrenalin pumping with Treadmills having Auto Incline Function, Pre-set programs like UrbanTrek TD-M3. You could also try: Dumbbells, Recumbent Bike, Group Bike, Upright Bike, and Cycling. Stop resorting to the pre-packaged meals in the frozen food aisle and turn your Saturday mornings into a nice outing to the local farmers market. Grab yourself a fresh juice and open up your world to affordable and fresh produce. You’ll not only notice the benefits to your energy levels and health, but your bank balance too. If you’re struggling to muster motivation, try committing to one personal training session a week. By having something hold you accountable for your fitness goals might be the extra push you need. Remember, you can’t climb a mountain in one hour so why expect to be fitness pro. DIY Videos can help you set realistic goals and provide you the guidance to keep you on track. So what are you waiting for? Start now. Life isn’t easy and sometimes we lose sight of the bigger picture. Learning to deal with all the setbacks life throws as us and dealing with our own personal failures is pivotal to ultimately finding the strength and motivation to conquer our goals. If you’re ready to give your New Year’s resolution another go then get in touch with one of our exercise We are more than happy to help you break the cycle and get you on track to achieving your New Year’s resolutions.